With the new Affordable Care Act Employer Mandate, companies with 50 or more employees are obligated to offer group health benefits. However, many smaller medical practices are also opting to offer healthcare benefits for their staff. This could be due to recent compelling statistics that show a direct correlation between quality benefits and employee retention. If you are considering offering healthcare benefits for your medical practice staff, finding a plan that meets your staff’s needs while remaining within budget is critical. 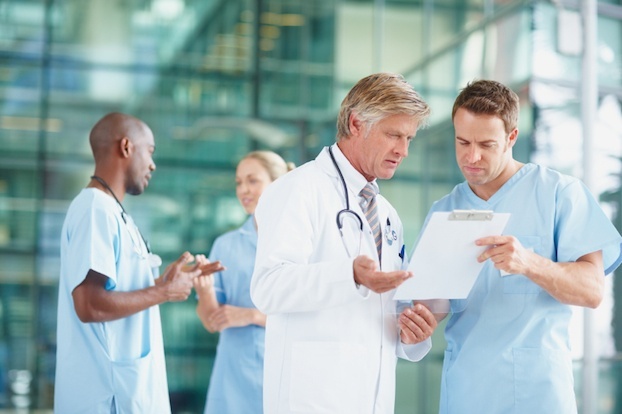 Here are four tips for obtaining cost-effective health benefits for your employees. Choose a high deductible & low premium plan: When you’re paying for health insurance for everyone in your office, your expenses can get pretty high. That’s why enrolling in a high deductible and low premium health care plan can be a beneficial option. A low premium would mean less money your practice would have to payout for healthcare. Your employees would pay the out of pocket expenses for doctor visits until the deductible for each person is met. This is especially favorable for individuals that are in relatively good health and don’t visit their doctor’s office much. Offer multiple plans: One of the major pitfalls of offering a high deductible plan with low premiums is that employees aren’t able to pay the high cost of doctor’s visits out of their own pocket. Therefore, as an employer, you can consider offering multiple plans with the same insurance carrier. With this option, you could give yourself and a few critical staff members a high deductible and allow the rest of your employees to enroll in a low deductible plan. Enroll in an Health Savings Account (HSA): For high deductible plans, there’s another way to help with group health benefits – an HSA. HSAs are intended to be used in conjunction with qualifying high deductible health insurance plans. In 2012, HSA contributions exceed $13 billion, and estimated to reach $26.8 in 2015. HSA are owned by employees and have contribution limits; $3,350 for individuals and $6,450 for families. Contributions made into an HSA are not subject to federal income tax and roll over year to year. One of the advantages of HSAs for employees is that both employers and employees can make contributions into an HSA. As the business owner, you can contribute to your employees’ Health Savings Accounts. The disadvantage of an HSA is that any funds withdrawn for any other reason than that for health reasons will be penalized. Keep in mind that HSAs have eligibility requirements. The only way an individual can be eligible for an HSA is they are enrolled in a high deductible plan, not eligible for Medicare and aren’t insured by any other plans. Enroll in an Health Reimbursement Account (HRA): Similar to a HSA, an HRA is another option. The difference is that an HRA is owned and paid for by you, the employer. The main reason for an HRA is to reimburse employees for their health care costs. Reimbursements occur pre-tax, which means that employees and employers can save up to 50% in taxes on the cost of healthcare expenses. HRAs were designed to give employees control of their healthcare coverage by reimbursing them for out-of-pocket medical expenses. There’s a lot to consider when providing group health insurance for your medical practice staff, and finding a cost-effective plan that meets your staff’s needs is essential. If you need help with finding the right benefits package for your medical practice staff, get in touch with us. We’ll partner you with an experienced insurance advisor who can help determine your medical practice staff’s needs and search for suitable options to meet them.